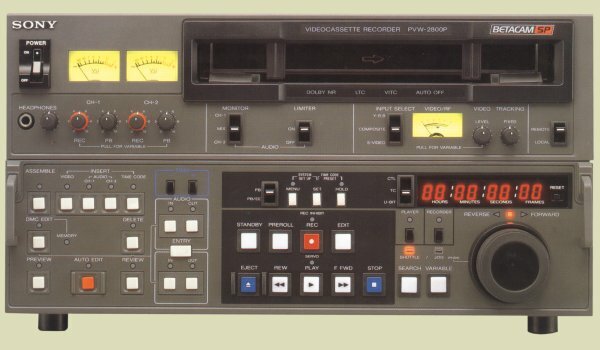 The PVW-2800P is a Recorder/Player inheriting the advanced performance of the Betacam SP format, it assures maximum compatibility with the BVW series Betacam SP products and a wide range of their peripheral equipment. It is equipped with a built-in Time Base Corrector and Time Code Generator/Reader. In addition to composite and component video input and outputs, it offers S-Video In/Out connectors, an RS-422A control port and an optional U-Matic Dub Out capability. This comprehensive interfacing makes the PVW-2800P easy to integrate into existing editing systems.